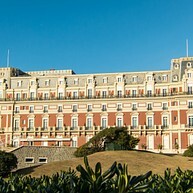 They all used to come here, from Napoleon III to Frank Sinatra – Biarritz used to be the Monte Carlo of the Atlantic coast but with the time, the glamour faded. Thanks to windsurfing and other water sports, however, the city has rejuvenated. It now is the perfect destination for a relaxing weekend break, completed by some of the best food around. And there is no need to rush: the city is fairly small and you can easily see everything around, even during a short visit. One thing worth to set aside time for is the morning market in Les Halles: try the city’s own mamia, fresh curd sheep’s milk. Basque Country is available from the visitor information bureau. Opening hours: Shops in Biarritz are usually open from 9am to 12.30am. After a long lunch break, they stay open from 3pm to 7:30pm. 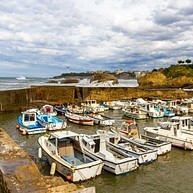 Biarritz is located in Basque territory, 18km from the Spanish border. The sunny location on the Bay of Biscay makes it perfect for surfing and this culture is deeply rooted in the city’s ambience. 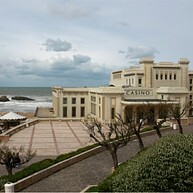 Several prestigious surf tournaments have been hosted by Biarritz. Other popular sports practised here are Basque pelota, golf and rugby. Eugénie, wife of Napoleon III, created Hôtel du Palais at the end of the 19th century and it still towers over the northern end of Grand Plage. A visit is well worth the time, in fact, it is essentially a must see – the interiors and the atmosphere are reminiscent of a bygone era. The views of the Atlantic waves crashing over the cliffs below are dramatic. This is where the whale watchers would have been on the lookout, at a small building called cloche d'Alarme. A statue of the Virgin Mary, raised in 1865, perches on one of the cliffs that can be reached via a bridge. Nearby is also the quaint Place Sainte-Eugénie and the old fishing port Port des Pêcheurs. Talk a casual walk around and do not forget to pass the park Esplanade de la vierge or the local aquarium close by. 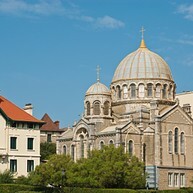 The Russian orthodox church of Alexander Nevsky may seem a bit out of place, but just before the Russian revolution in 1917, many aristocrats arrived here and bought that piece of land, where they built up the church. 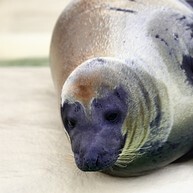 The Musée de la Mer, the aquarium of Biarritz, is a great place to take your family for an impressive marine display. The diverse sea life is portrayed in an elegant and entertaining manner. Eagle rays measuring 90cm in width share their tank with about 30 sharks, barracudas and many more, including seals. The museum Cité de l’Océan can answer questions like: where does the water in the oceans come from? Did Atlantis really exist? Would we be here if the Ocean never existed? More than one of your senses will be engaged in the fun journey toward learning about the depths of the ocean. 3D animations and interactive devices will guide you along your way. It is hard to say what is the coast's biggest attraction, the great surfing spots or the amazing views. Whichever is your cup of tea, do not miss this excellent waterside area. Some might say that this is just a rock, but there is a reason to why the Virgin on the Rock has a star in the Michelin Guide travel section. 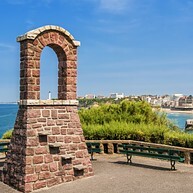 It was Napoleon III's idea to place The Virgin Mary statue in this beautiful location which is surrounded by many other great lookout points. 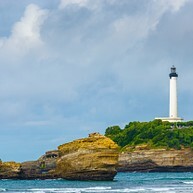 The lighthouse of Biarritz, le Phare de Biarritz, is another location where you can enjoy views of Biarritz. Climb the small hill and, if you dare, take a look into the lighthouse on top. Also, take a look around and experience that great atmosphere. No matter if this is your first time on a surf board or if you're already a pro, Lagoondy Surfschool can offer you valuable tips on how to get started and on how to improve your technique. 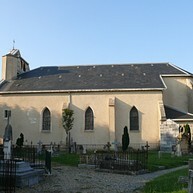 Saint Martin Church was the first church built in Biarritz in the 1100s. Come in and enjoy the serenity. The casino is located just at the sea front so it allows for some amazing views onto the ocean; it does not only offer a good time but you can also come here and relax in their heated sea-water pool with an ocean view. If surfing is the main (or only) reason you are visiting Biarritz, then this might be the perfect solution for you: renting a surftripper. The campervans give you the freedom to explore different beaches on your own terms and to find the perfect wave. This small fishing port is a quiet and romantic place to rest on a busy day. The area is perfect for hiking and gives you a great view in the evening. A number of small restaurants and cafés will await you with local delights, and why not enjoy a glass of wine while watching the sunset. 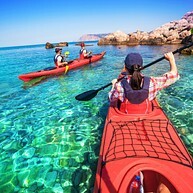 Get some fresh air and enjoy the Basque landscape.The Takamaka team at Sports Nature equips you with everything you need for an exciting day out: bikes, surfboards or kajaks can be borrowed and you can even book a canyoning or sky diving trip! The experienced team helps you with hiking maps and advice for day routes.